For gamers, not being able to play games is the most terrible nightmare. Therefore, this 0x87e107f9 Xbox One error code is a pain in the brain for Windows 10 users. If you are the one experiencing and suffering from it, you are in the right place. Here, we will take a look at what 0x87e107f9 Xbox one error is and how can we fix it. So, the suffering ends with the error code and we can go back to accessing our favorite games. No special knowledge is required for that. Simply going through this post would be enough. 1 What 0x87e107f9 Xbox One error is in Windows 10? 2 How to fix 0x87e107f9 Xbox One Error in Windows 10? What 0x87e107f9 Xbox One error is in Windows 10? There are several kinds of bugs and errors that Windows users face. Some annoy them less, while some frustrate them to the core. This error, the 0x87e107f9 Xbox One error lands among the ones that frustrate you to the core. The situation gets even tougher when you don’t know how to resolve the problem. When this particular error occurs, the game that you were playing stops or freezes unexpectedly. Also, sometimes the screen may turn black. In both cases, the 0x87e107f9 error code appears and you are informed that there is some problem in your system. Usually, the error is due to poor network conditions, or discontinued internet speed. However, sometimes this error may also appear due to a corrupt game data file or a malware/spyware. This error can appear while playing any game, be it Crash Bandicoot, Fifa, Destiny 2 or Witcher 3. Although you can simply fix the error and continue playing your favorite games. This post will help you in doing so. How to fix 0x87e107f9 Xbox One Error in Windows 10? As the 0x87e107f9 Xbox One error is generally caused by a problem in the internet connection. So, you can try fixing the error by simply resolving the problem with your internet. I will provide 4 methods which will help you to solve the problem. You don’t have to worry about doing anything complex. Just follow the simple steps that I’ve presented. That will be enough to play your loved games again without any interruption. This is the first thing you should do if you are facing the annoying error in your Windows 10 PC. 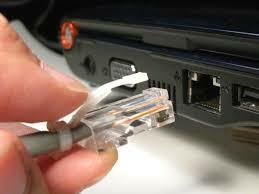 Sometimes damaged ethernet cables or the problematic routers are the reason behind the interruptions in the internet connection. Follow the below-mentioned steps in order to fix the error. Step-2: Check if there is any damage on or under the coating of the cable. If it is damaged or worn out, replace it with a fresh one. Step-3: Plug it back again. Make sure the cable is fitted properly and not loose. Step-1: Switch off the router. Check for any external damages near or around the ports. Keep the game running during this. After about 10 seconds, switch it on again. Step-2: Wait for the internet to re-connect and check if the problem is solved now. After doing this, most users reported that their problem solved. Just in case, if you are still suffering, there is another method for you. 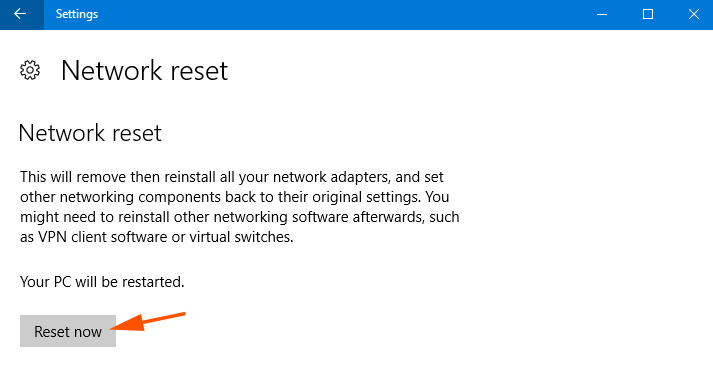 There are many ways available to reset network on Windows 10. However, I’ll list the two easiest and best methods here to help you fix the 0x87e107f9 Xbox One error. You can use either of them and reset the network. Follow the steps present with each method in the exact order. Step-1: Press and hold the Windows + I keys together and choose Network & Internet. 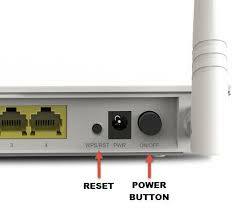 Step-2: Now take your cursor to the right side of the wizard and click on Network Reset. Step-3: Next, Click on Reset now. You will see a pop-up message informing that your Computer will restart in 5 minutes. Save your running games instantly and wait until the system restarts. Step-1: Press and hold the Windows + X keys and choose Network Connections from the list of options. 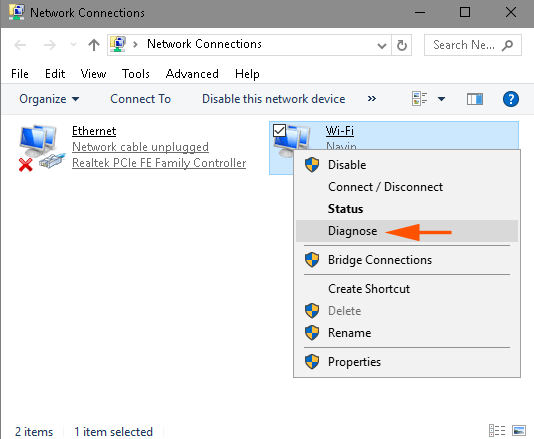 Step-2: In the Network Connections window, right-click on the active Network adapter and choose Diagnose. Step-3: For a short span of time, the utility will scan the problems occurring. Afterward, it will show Network reset as a possible solution. Now click on Try these repairs as administrator and wait for a few minutes. Now that you have reset your network, the error should be gone. Step-1: Go to the search box on the taskbar, type Command Prompt in it. Now right-click on Command Prompt from the search results and choose Run as administrator. 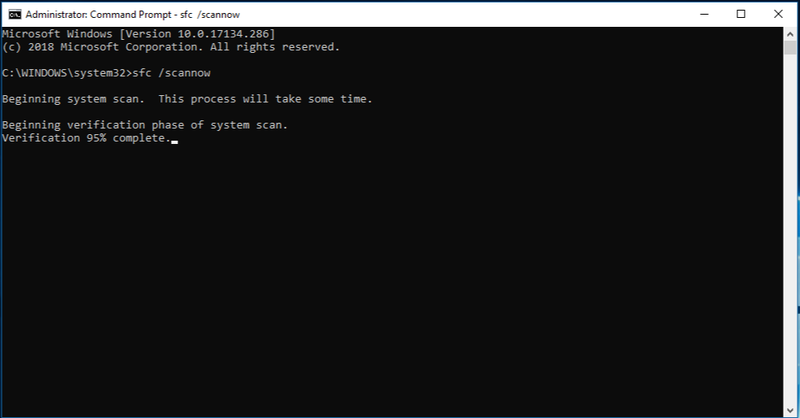 Step-2: In the Command Prompt window, Enter DISM.exe /Online /Cleanup-image /Restorehealth. Make sure to note the space before each ‘/’. Note: This step might take a few minutes to start and up to 30 minutes to run and complete. Wait patiently. Step-3:Afterward, Enter sfc /scannow. Make sure to note the space between ‘sfc’ and ‘/’. Note: This step may also take some time, so wait patiently. Done. 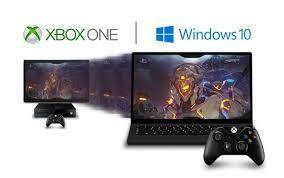 Now check if that annoying 0x87e107f9 Xbox One error is solved or not. Some annoying virus or malware may also result in the 0x87e107f9 error. Scan and clearing it with the help of a suitable antivirus will help you to resolve the issue. Follow these steps. Step-1: Download and install a trusted antivirus software in your Windows 10 PC. You can skip this step if you already have a trusted antivirus installed. Note: I’d recommend not using Windows Defender for this as most malware are developed to bypass it anonymously. 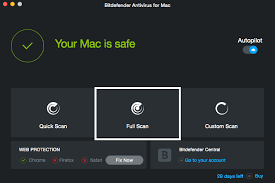 Step-2: Run the antivirus program and do a full scan of your system. This may take some time, but it’ll be surely worth the wait. Now check if the problem is solved. Also, if you use Steam, take a look at this post: how to use steam flushconfig here. .